In the market for a brand new Jaguar? Maybe it is a F-TYPE, F-PACE, XE or XF that you have had your eye on. With the Unwrap a Jaguar sales event, you're sure to get the best deals on a new Jaguar vehicle. Stop by our Laurens Road dealership - just a few minutes off I-85 and accessible to anywhere in the Upstate South Carolina area - and test drive one of these exciting vehicles today! Our sales associates know Jaguar vehicles inside and out and can help get you into the new vehicle of your choice. Our Black Friday deals have been extended through Cyber Monday! Just $299/month for 39 months! Jaguar of Greenvile has hundreds of used vehicles in inventory for you to choose from. Our used vehicles have been inspected to make sure that they pass the high standards of quality that we have for all vehicles. This includes our certified pre-owned vehicles, the highest quality Jaguar used vehicles you can buy. They have several benefits that you won't find in any other used vehicle. 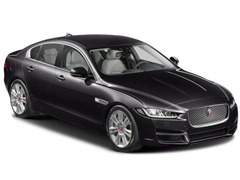 Save on Jaguar service at our Greenville, SC service center. With a full suite of services, including tire installation, brake diagnosis, shocks, transmission, and more, you'll find great savings on what your vehicle needs the most. View our service specials online or schedule an service appointment today, right here on our Website. Our team of service experts will make sure that your vehicle is in the right hands and that it gets the proper repairs it deserves. Schedule an appointment today! 2017 Jaguar XE: Stock HA964886. MSRP $36933.00. $4000 Down 39 months, 10000 miles per year. $4000 down includes $359 first payment, $199 Documentation fee, SC tax of $300 and $39 tag fee. Non SC residents are responsible for applicable tax and tag fees. Lease based on Tier 1 Credit. $0 Security Deposit. Includes $1000 Rebate. Offer Expires 11/28/2016.